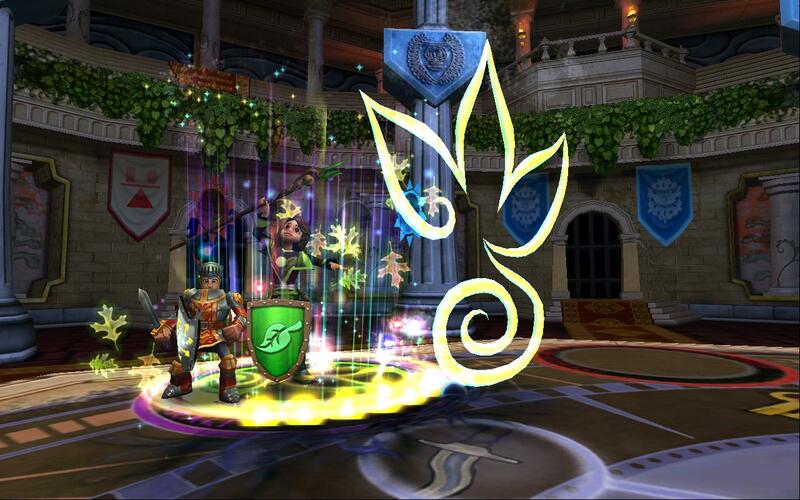 With the spring update of 2015, Wizard101 brought forth a new way to dungeon – the One Shot Dungeon! They are a hybrid between a Hoard Pack, and a Housing Gauntlet. Their price is 500 crowns per use! You buy the gauntlet, and then you and three friends can go through it once. 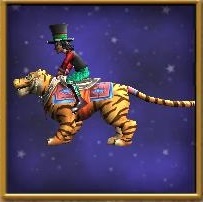 Like a hoard pack, these gauntlets will give you a chance at new unique gear, weapons, pets, and even a mount! 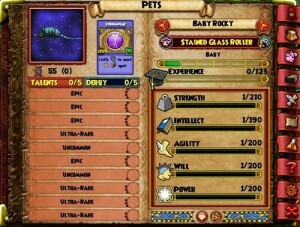 You can set the difficulty of these gauntlets, and you can also use dungeon recall with these. 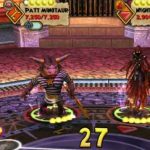 You cannot port into these dungeons, even if you do not have a full group. 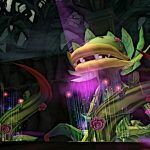 In the Wizard101 Tanglewood Terror dungeon Mrs. Dwagger is in a sticky situation! 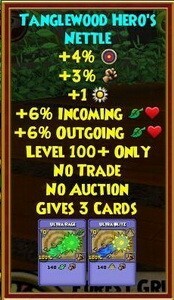 Something has taken over Wysteria, and is turning the vines against everyone! Even worse, they are causing.. MASSIVE PUNS! Can you stop the puns, and save Wysteria? Love to spam weakness, bad juju, and plague. Health and mana wisps appear after you beat them. This one is a fairly standard fight from our test runs. The Forest Nymphs are fond of using Tempest or Storm Lord (with a cool new animation!) on their first turn, so come into the fight expecting that. Forest Grump himself seems to be a standard boss enemy. We haven’t observed anything cheat-wise! 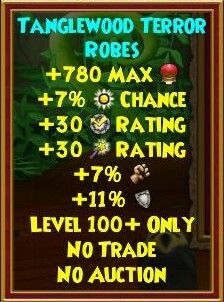 Here are some of the drops from the Tanglewood Terror dungeon.